A pulse is the edible seed of leguminous plants, sometimes eaten fresh but usually dried and includes all beans, peas, and lentils. They are high in protein, so good for vegetarians and a healthy choice for meat eaters alike. 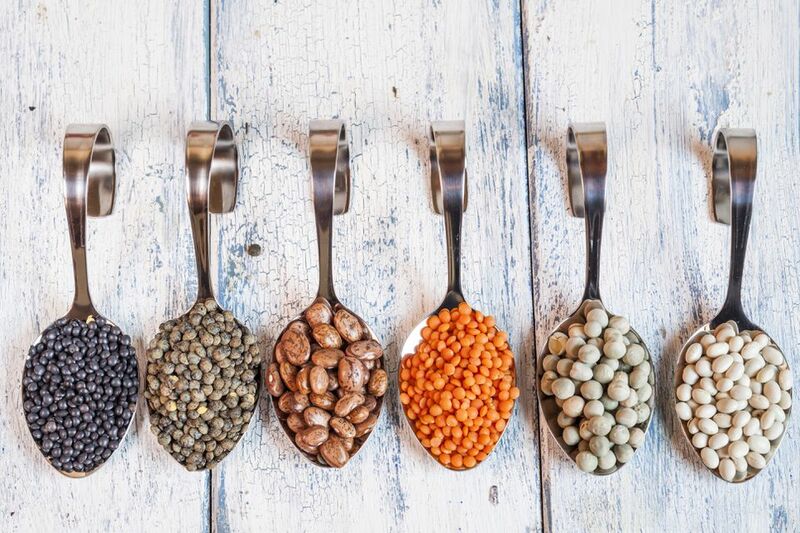 Pulses are a slow-release carbohydrate so help you to feel fuller for longer and also add fiber to your diet. Importantly, dried pulses are cheap to buy and as they bulk out a meal, you can eat healthily and save money - great for feeding a family or cooking on a budget. If you think pulses are boring then take a look at the recipes on the following pages. You may just change your mind. 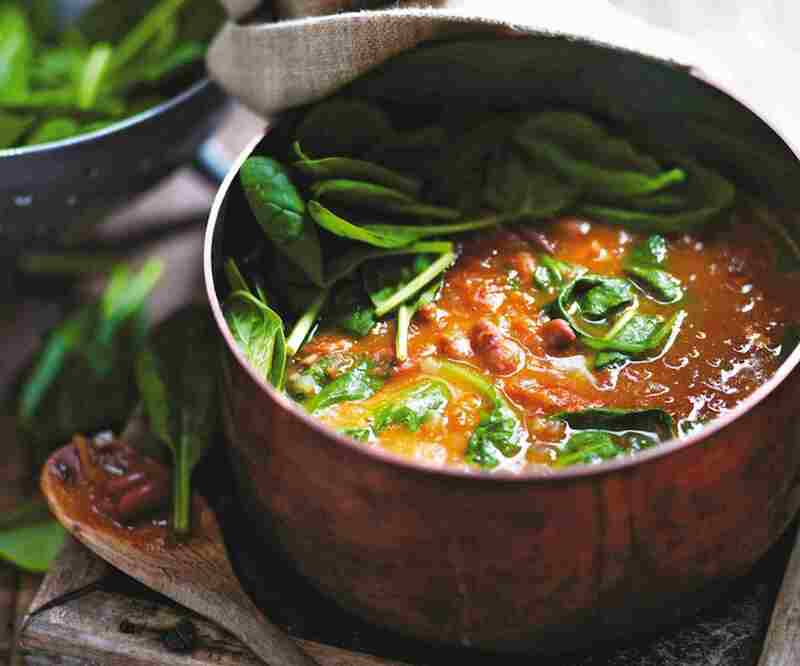 This Fresh borlotti bean and tomato soup recipe is delicious and easy to make, which is perfect for those chilly autumn days. The soup can be made throughout September when fresh borlotti beans are available and home-grown tomatoes are bursting with flavor. You can, of course, use other beans, such as cannellini or flageolet. Not able to get fresh, then use a tin. This lovely recipe comes from talented food writer Sybil Kapoor from her lovely book, The Great British Vegetable Cookbook. Vegetable and bean soup recipe is the perfect soup recipe for cold days when you need to be warm and nourished. What could be better than a bowl of soup and crusty bread to keep the chill-out? The bean soup is packed with healthy vegetables and beans to sustain you through the cold weather. Serve a large bowl as the main course, or a smaller portion as a starter. Yorkshire puddings are a favorite British food, especially with roast meats for Sunday lunch. Filled Yorkshire puddings make great supper dishes for mid-week, or as an alternative to a roast on Sunday. The risen sides of the Yorkshire pudding turn it into a dish just waiting for a delicious filling. One of our favorite fillings is hot, spicy chili con carne for this chili filled Yorkshire pudding. The punch from the spices is calmed a little by the soft taste of the pudding batter. The chili uses minced/ground beef with lots of red kidney beans and canned tomatoes, good cheap and nutritious foods. Chickpea Curry not only tastes good it is packed with healthy ingredients. It is quick and easy to make and is even better if made in advance and kept for a day before eating. This Chickpea curry recipe also freezes very well so make a batch but omit the fresh coriander garnish until serving. We all have favorite soup recipes and this red lentil and tomato soup recipe is one of mine. Is it so, so easy and takes very little time if you have some ready made stock. Red lentil and tomato soup is very nutritious and another great reason for making this soup is, it is also relatively cheap to prepare. If you have stock in the freezer, now is the time to use it. No stock? It is fine to use a stock cube for this recipe. Use vegetable stock if you want a vegetarian soup, otherwise chicken is good and I also like using the broth from when I have cooked ham as long as it isn't too salty. Opening a can of baked beans and serving hot on toast is the ultimate, tasty, fast food. Home baking beans add another dimension; not only are they delicious you can control what goes in and avoid the added sugar found in the canned variety. The homemade baked beans recipe is based on beans I used to cook in Italy, so though not strictly a British recipe, I have cooked then so many times here in the UK, I feel they are allowed. Mushy peas are not the main course dish, but a substantial side dish. Mushy peas are an intrinsic part of British food favorite, fish and chips or with hot pies. There are many impostors out there using frozen and even fresh peas but true, traditional mushy peas recipe is made with dried marrowfat peas which require overnight soaking, so a little planning is needed. Parched peas and vinegar, also known in Lancashire as black peas are a traditional treat in the North of England especially when served on Bonfire Night ​- November 5th.